Saturday May 31, 2014 - Malawi has a new President after days of uncertainty, violence and rage over the fairness of the vote. Peter Mutharika is sworn in as Malawi's 5th President. After days of uncertainty, fear and unrest calm appears to be making a comeback in the wake of elections, disputed by many, and seen as an attempt by incumbent President Joyce Banda to either have a vote recount or an annulment of the polls. She claimed that there had been massive rigging with the computer systems used by the Malawi Electoral Commission (MEC) hacked into and figures tampered with. As the days wore on with anxiety caused by the delay getting on the nerves of voters, the High Court rejected a request for a recount and cleared the way for today's swearing-in ceremony of the candidate who had been leading at the polls Peter Mutharika of the Democratic Progressive Party. 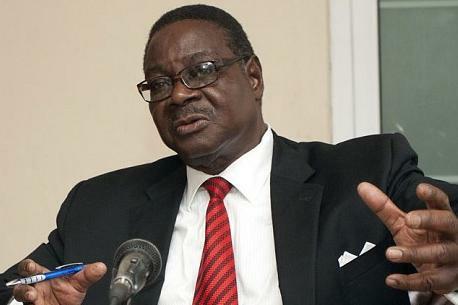 Professor Peter Mutharika is the brother of the late President Bingu Mutharika who died in office in 2012 and who had also served as Malawi's Foreign Minister thus making him no stranger to the mechanics and intrigues of the country's political canvas. The BBC reported that Peter Mutharika got 36.4 percent of the vote, quoting the Malawi Electoral Commission, thus topping the list of 12 Presidential candidates. Mrs Banda, who came to power after the death of Bingu wa Mutharika two years ago, was third with 20.2% of the vote. Her administration had been hit by a corruption scandal dubbed "cashgate", which led donors to cut aid. Mrs Banda had attempted to have the polls declared "null and void" on the grounds of "serious irregularities". "The May 20 vote was plagued by problems, including polling stations opening late and inaccuracies on ballots. The irregularities prompted the election commission to extend voting into a second day, and then into a third day in some areas. Banda said the election was rife with fraud, including ballot rigging and people voting more than once. She had ordered a new election within 90 days and said she would not be a candidate. But the High Court overruled her when the main opposition party complained. On Thursday, Banda told Reuters she was ready to step down if the court ratified the election and her chief opponent, Mutharika, turned out to be the winner. However, she said she still believed the election was fraudulent." It is worth noting that despite all her initial protestations, Mrs Banda was forced in the end to lay down her sword and shield in the face of overwhelming opposition to what many saw as the taking of Malawi down the path of autocratic and a clearly undemocratic route. "I take this opportunity to sincerely congratulate the President Elect Professor Arthur Peter Mutharika and the Vice President Elect Mr. Saulos Klaus Chilima on their victory in an election that was closely contested. I wish the President Elect and the Vice President Elect every success as they take up the mantle of leadership for the nation of Malawi. It is my prayer that the new President and his Government will successfully guide our nation to greater heights of prosperity. I would like to thank all Malawians for the support rendered to me and my government during my term in office as President of this great Republic...I therefore wish to take this opportunity, to urge all Malawians to support the newly elected President Professor Mutharika and his Government as they take on this foundation of progress and endeavour to develop Malawi even further. In conclusion, while these elections have been tense, I would like to urge all Malawians to move forward as one nation, to remain united, to uphold the rule of law, and continue being peaceful and calm as we head into the next fifty years of Malawi’s future." 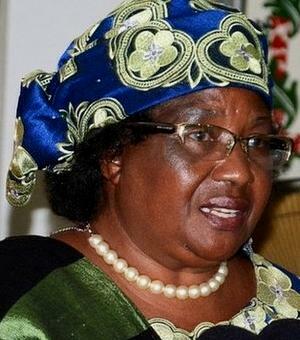 The chaos that was generated after the Malawi vote is nothing new in politics on the continent and from day one in office, Mrs Joyce Banda should have known that she was not welcomed as Malawi's new and first female President nor as a successor to the late President given the fact that even after the passing away of Bingu wa Mutharika, attempts were made to deprive her of the top seat of power. The forces that tried to do this were in the main still in key positions and were keen to keep her out of office. Once in power, she must have adopted a new agenda of prosperity Sierra Leone style with the "cashgate" crisis making her government unpopular with donors. As in Sierra Leone the role of computers also loomed large in Malawi's elections - something she should have foreseen but even if she did must have been reassured that all will be well - after all the head of the Malawi Electoral Commission was appointed by her. And so was Christiana Thorpe also appointed by the SLPP government of President Ahmad Tejan Kabbah. We have always stated that when election observers arrive from abroad, they are only just in time to witness plans that had been hatched ages before their arrival put into operation and it is no surprise that statements like - " ...although many ballot boxes went missing and money was seen changing hands on the day of the vote...it was all free, fair and credible". So like it was in Sierra Leone so has it been with Malawi and an unelected Joyce Banda, we hope will learn from this - that the struggle for power in Africa is not only in the use of Kalasnikov and machete, but that in this age of electronics, things do happen that could be pretty unpalatable. "Freedoms of assembly, speech and movement were generally respected; however there was an unequal playing field, in particular with regard to the access to the media and the abuse of incumbency. These elections regrettably failed to enhance women representation in the parliament. Despite a widespread fear of a return to violence among all election stakeholders, the electoral process was largely calm and peaceful. The elections were overall credible and conducive to the consolidation of democracy, however further progress will depend on the will of national institutions to address shortcomings...an unequal playing field was evident throughout the campaign period. Although the election campaign was dominated by the ruling APC and the main opposition SLPP, APC clearly benefited from the advantages of incumbency by making use of state resources, enjoying considerably more media coverage clearly having more financial resources for campaigning, including considerable sums spent on paid media airtime as compared to SLPP and other political parties. The volume of resources invested in the campaign by the ruling party clearly exceeded that of the SLPP. The other political parties, including the PMDC, were much less visible as they lacked financial resources to conduct large scale public campaign events." Despite these observations, we have seen the people of Constituency 05 and 15 deprived of their choice of candidates as the subservient judiciary, under the manipulation of the rat, denied seats to the people who had the highest votes. The judiciary, led by one Judge Showers instead took the unusual and illegal step to order the National Electoral Commission to allow the APC candidates who came a poor second to sit in the House of Representatives. It is a known fact that these two APC candidates did not get there by the popular vote and will never do so had the legal route been taken - that is - a by-election. On the use of state resources by the ruling party, we have observed that, as in the days of one-party rule, state resources continue to fund the travels of government official abroad for purely ruling APC party affairs. We wish the people of Malawi well.